Visit Eureka! 's Timberline SQ Outfitter 4 page. 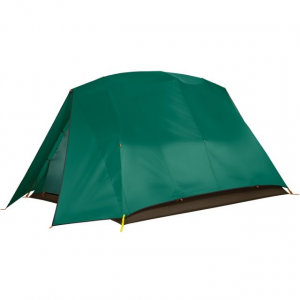 Eureka Camp & Hike Timberline SQ Outfitter 4 Person Tent 3 Season 2627814. The use of our proprietary SQ frame incorporating an oversized 13mm ridge pole provides a strong and resilient frame for extended use. The SQ frame's spreader pole increases the tent's internal volume by 24percent so there is more useable space for cots and gear. We have improved weatherproofness by lengthening the fly and extending the ends of the fly to create vestibule wings for added wet weather protection to the door and windows. 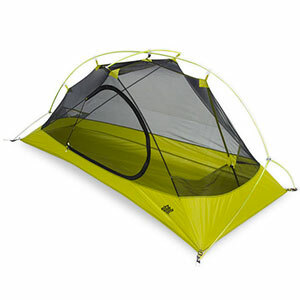 An oft overlooked but greatly appreciated feature of the SQ frame is the raised entry height of the fly eve making it easier to enter and exit the tent. Strong, weatherproof and super-spacious, Eurekas Timberline SQ Outfitter 4-Person Tent boasts the SQ aluminum frame with an oversized 13mm ridge pole and rugged spreader pole that drastically increase internal volume for excellent livability. Extended 68-denier polyester-ripstop coated flies and weatherproof vestibule wings deliver reliable protection from wet and windy weather around doors and windows. Large, vertical, D-style door featuring Hi/Low venting, two windows and two integrated vents allow easy-to-access ventilation options. Four storage pockets, two gear loops and two flashlight loops ensure essentials remain secure. Coated bathtub-style floor wraps up the sides of the tent, keeping you protected from standing water in rainy conditions. 68-denier polyester-ripstop walls, oxford-nylon floor and 40-denier No-See-Um mesh. Imported. 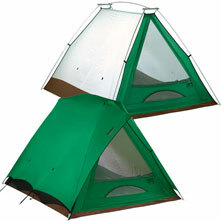 Type: Dome Tents. The Timberline SQ Outfitter 4 tent from Eureka sleeps 4 and is a classic tent updated with the latest in frame technology. 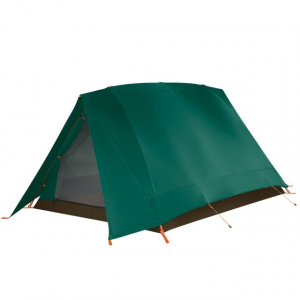 The Timberline series has been famous for years as the Scout's tent of choice, Why? Because of ease of set up, durability and reliability. Well Eureka just made it better with a stronger and easier to set up aluminum frame set. The frame is so tough that Eureka began to compare it to the strength and durability of the giant Sequoia tree and the name stuck (SQ). 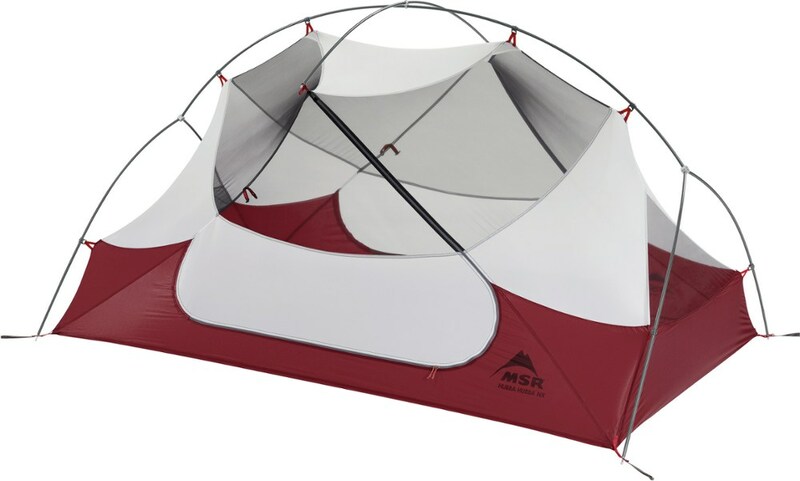 A stronger, thicker ridge pole and the SQ frame's spreader pole not only increase overall frame strength but adds more usable square footage to the interior of the tent. 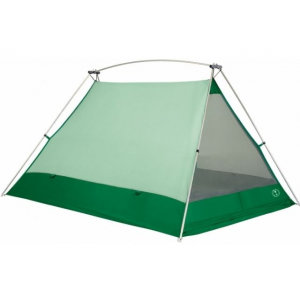 Improved ventilation with the addition of 2 generous roof vents mean long humid tent nights will be much more comfortable than in the past. In addition Eureka has lengthened the side of the fly for even more coverage and added vestibule wings to the front of the tent to protect the door from weather. Some of the good old parts remain like the use of RipStop materials for strength and worry free use. 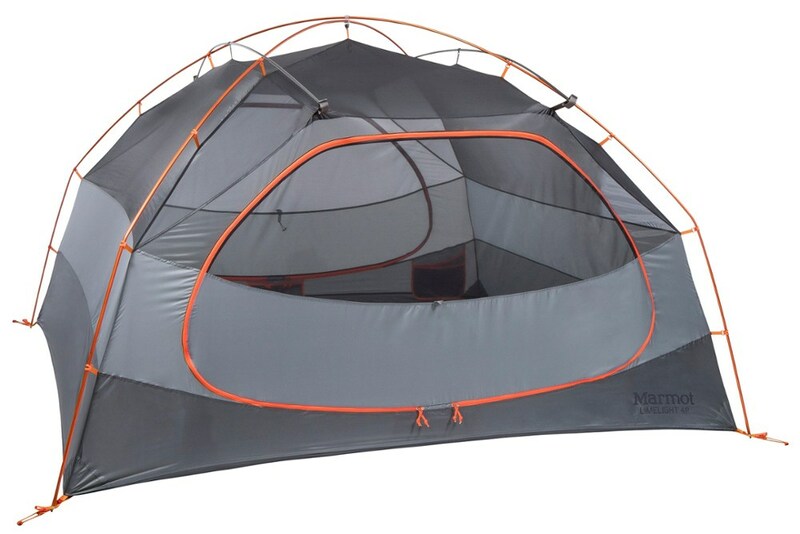 This is a classic tent and it just got better.Sleeps 4All main fly and floor seams are factory sealed with seam tapeHeavy duty 4 oz Oxford Nylon bathtub style floor wraps up the sides to keep you dryFreestanding design is stable and easy to set upUnique and proprietary Sequoia shockcorded aluminum frame is unmatched for stability and strength.2 Large end windows and 2 large roof vents for improved ventilationHi/Lo venting lets warm air flow out from the top while letting cool air in from the bottomFull coverage fly protects the tent and occupants from inclement weatherPolyester RipStop fly won't stretch when wetRipStop materials used in fly and body construction for ultimate reliability1 door2 interior storage pockets help with organizationAll clip set up is fast and easyPost and grommet pole to body connection is fast and simpleLite-Set footprint optional - allows you to set up the fly with just the poles - leave the body home - lightweight optionFront vestibule wings protect the door from weatherExternal guy points to keep the tent stable in storms and high windsSpecial pole anodizing process used is GREENER (less polluting) than other aluminum polesRipStop materials used in fly and body construction for ultimate in reliabilityAll carry sacks includedFire retardantImport.